delight and as eager to learn as ever. 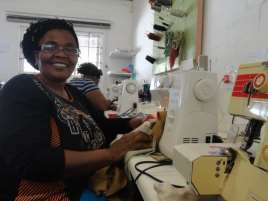 they can apply for jobs in the local stores or security companies. learn as much as they can. determined to learn new skills to help better themselves. From time to time, we have included students from other countries in our class. Rejoice is one such student. 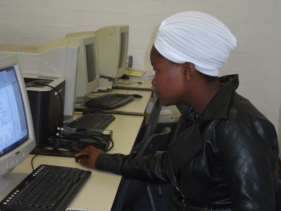 Almost a year and a half ago, she came with her husband and child from Zimbabwe to South Africa. “We came here to find work”, she said, and with just two subjects passed at High School level along with limited options, she came to the EM program. 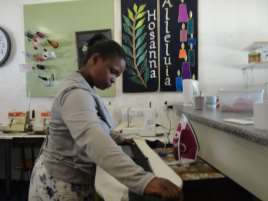 With no family here, they settled in with other Zimbabweans in a local community.” “I want to learn to sew so I can work and then help others,” she says. majority in the country, there are no jobs and little prospect of any soon. Alert!! Please pray for EM as we look to launch a new website! !